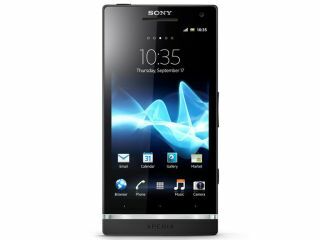 Sony is keeping an eye on Windows Phone and will consider making devices running it, if the OS gathers adequate demand. Speaking to PhoneArena at MWC 2012, Sony's Product Marketing Manager Stephen Sneeden confirmed that Sony was tracking the success of Windows Phone. Several manufacturers are already producing Windows Phone handsets including Nokia, HTC, LG and Samsung, but non have really set the market on fire with Android still being the OS of choice. There is no time scale for when Sony may venture into the Windows Phone market, as it looks to turn round the poor performance of Sony Ericsson last year with its new Android handsets the Xperia S, Xperia U and Xperia P.
There are still no guarantees that Windows Phone will be able to grow to a size which will challenge Android and iOS, but with Microsoft's backing you'd think it will give it a good go. We've also heard that Sony is looking at moving its portable console Vita OS over to mobile devices, showing the company's intentions not to solely stick with Android and it would be no surprise if the Japanese firm did release a Windows Phone handset in the future.